We stop in Cook City to provision. It’s a nice little mountain tourist town but not much else. We camp just a few miles from the park entrance in Montana, Gallatin National Forest. Our tent is right next to a flowing creek and isolated from other campers, just the way we like it. We suit up wearing long-johns under our leather. 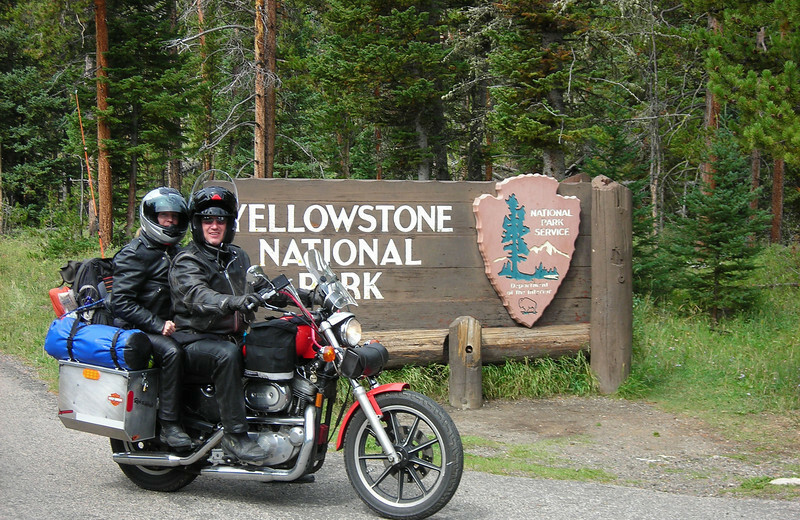 It felt good starting out but as soon as we entered Yellowstone Park it started getting colder.